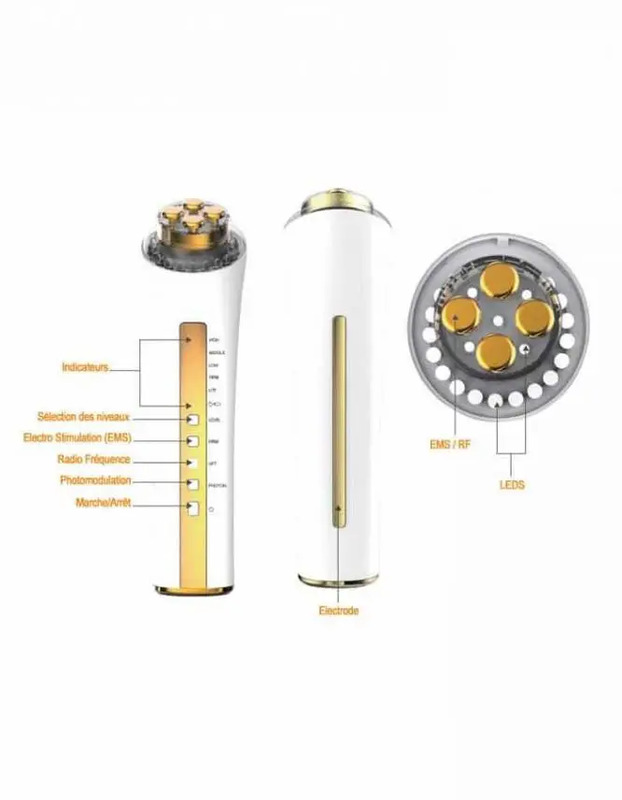 Face photomodulation, Radio Frequency and anti-wrinkle electrostimulation on a single device! Easy Beauty is used 10 minutes a day 3 times a week and is enough to produce good results! A professional face electrostimulation device and a led treatment for the face, 2 in 1! For a deep, controlled, painless and painless action without risk of skin burns. 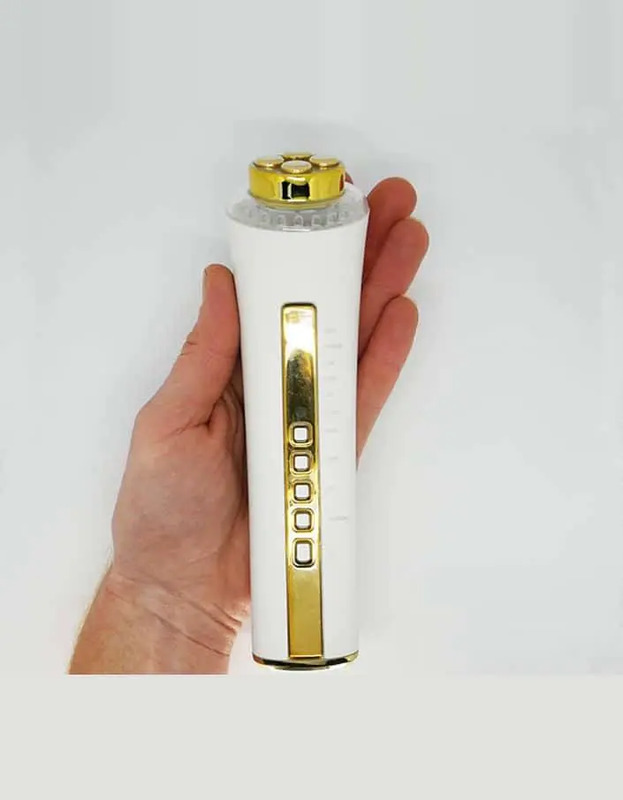 Lightens spots and unifies skin tone, reduces wrinkles, repairs damaged skin, eliminates pores and regenerates collagen. 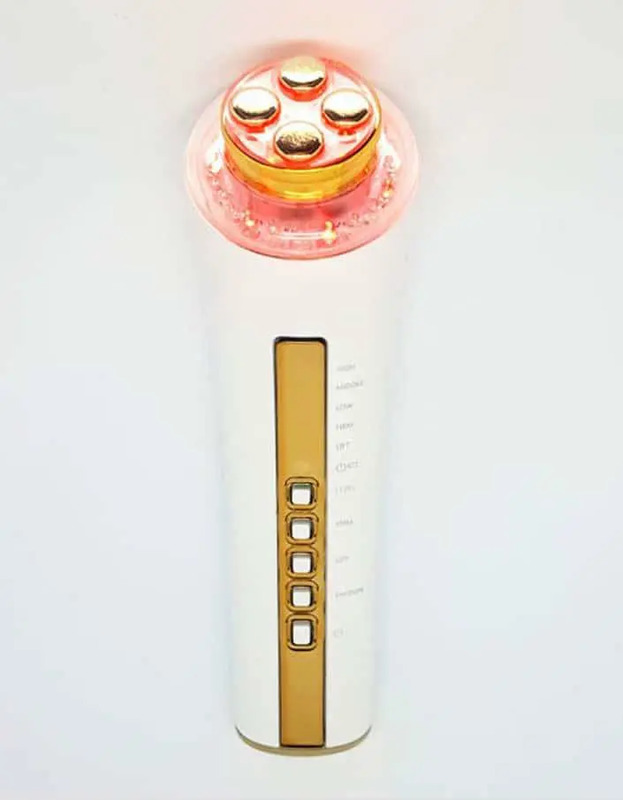 Red (620nm): stimulates collagen production, helps reduce wrinkles and fine lines, improves blood circulation. 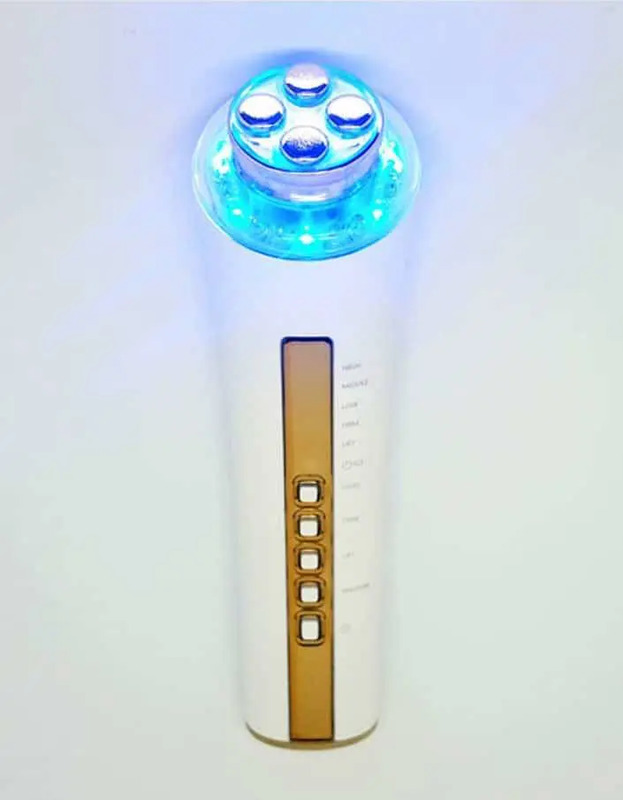 Blue (470nm): kills bacteria, anti-inflammatory and soothes irritated skin. Helps to moisturize the skin. Yellow (580nm); improves blood circulation and skin elasticity, which helps reduce spots and pimples and correct complexion. 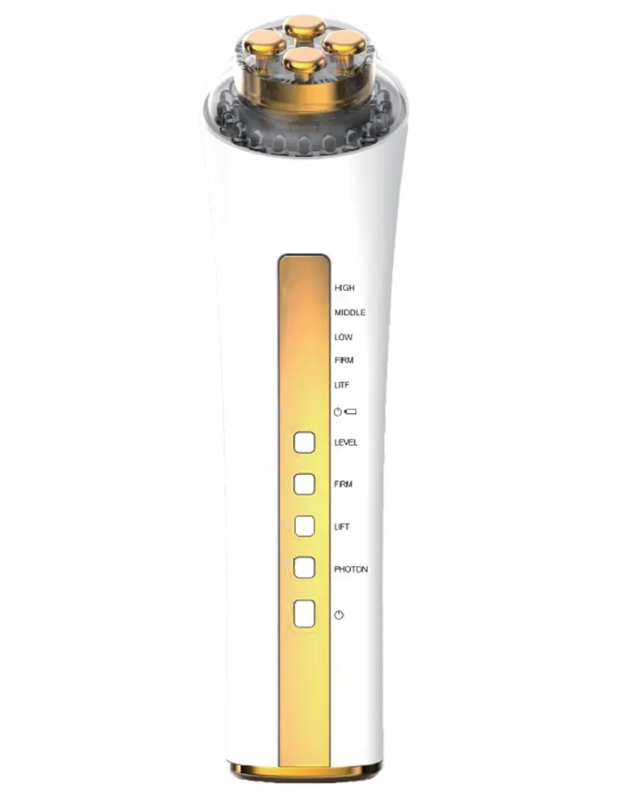 The main purpose of radiofrequency treatment is to tighten the loose skin of the face (loss of the oval of the face). Radiofrequency energy uses the natural resistance of the tissue in the different layers of the skin to transform the RF energy applied to the skin into thermal energy. RF energies can be used for all skin types and allow different penetration depths, thus contributing to an increase in collagen contraction and production. 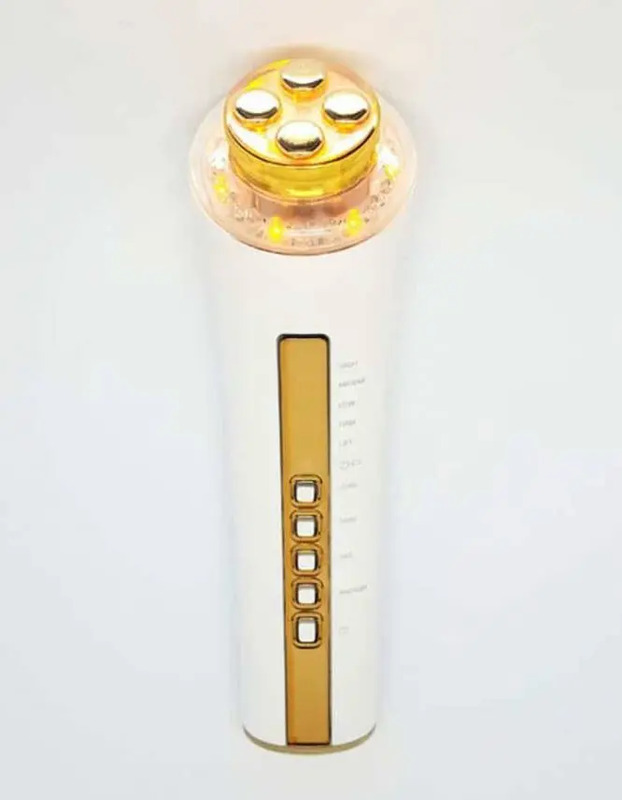 Electro-stimulation is used to activate skin cells, stimulate collagen rejuvenation, improve skin elasticity, soften wrinkles and leave skin smooth and healthy. A micro-current is used to activate nerves and muscles through the skin. In addition, electrical stimulation promotes the release of endorphins, which are natural analgesics produced by the body. Protects your skin at all times, without additional cost, without waiting and without appointment.